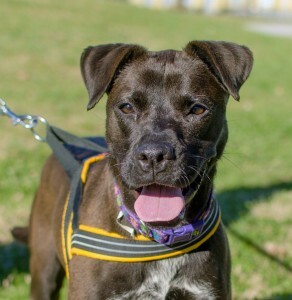 One-year-old Mollie is a dark chocolate-colored Lab and Boxer mix. She’s friendly, flirty, funtastic and loves dogs as much as she loves people. Spontaneity is middle name and her amusing antics are better than watching TV. Everything she does, she does with vim and vigor, and radiant energy beams from her joyful soul. Who wouldn’t want that inspiration in their life? Mollie’s an active gal who would be a great running or walking buddy and, if necessary, would be pleased to be the reason to get you up off the couch and enjoy the outdoors. Visit Mollie and be ready for nothing less than pure, good-natured entertainment. Black goes with everything, so Coal is the perfect cat for any home. Place him on your lap and notice the slimming effect. And no matter your décor or color preference, black is the perfect complementary color, much like a black cat’s personality can be the perfect match to yours. 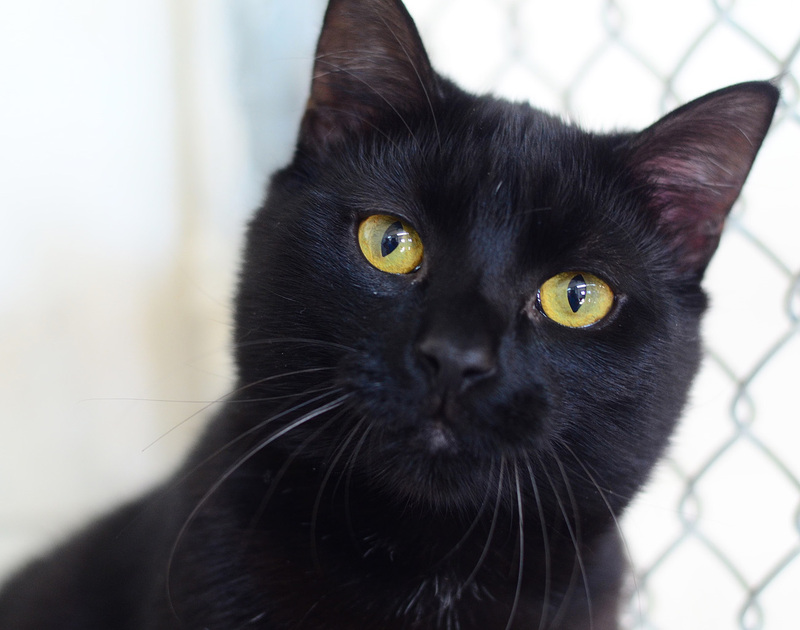 A ninja of the domestic cat family, his sleek ebony coat and golden yellow eyes make him practically invisible at night. This mini panther’s black fur won’t show up on black clothes, so whether you’re wearing comfy black sweatpants or a little black dress, you won’t have to worry about those little black hairs giving you away as a cat lover. Visit Coal and see how he looks on you.